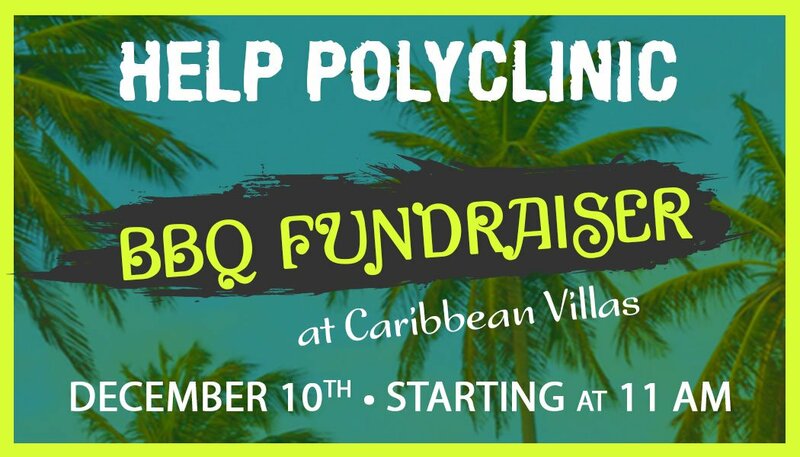 San Pedro, Ambergris Caye – November 17, 2017 – Caribbean Villas Hotel today announced plans to host a BBQ Fundraiser on December 10, 2017 to assist the Dr. Otto Rodriguez San Pedro Polyclinic II. Organizers of the event aim to raise $60,000 to assist with the purchasing of much needed medical equipment for the Polyclinic. The entire community is asked to come out and support this worthy cause. Residents on the island agree that for many years, the Polyclinic has done its best to provide adequate health services to the island community despite the many limitations the institution continues to face. Since February 2015, the medical facility has been providing 24-hour service, focusing on emergencies during the night time. When the 24-hour services were inaugurated, Minister of Health, Pablo Marin stated that the Government of Belize was looking at areas to improve the health sector on the island, but since then, little has been done and the Polyclinic continues to rely on donations. Arceo told The San Pedro Sun that this is the reason why the majority of the fundraiser will benefit the island medical facility. Some of the funds will be used to provide the staff with a Christmas bonus, in gratitude for the hard work they put in day after day. The purchasing of equipment, such as stretchers, is also another priority, given the fact that there are none available at island’s health center. The acquisition of an incinerator is urgently needed as well to properly dispose of medical waste. Currently, the staff disposes of the waste by burying it or simply burning it in the open, south of town. Many residents have complained about this practice, which they believe can be harmful to both the environment and persons near the area where this practice is done. Polyclinic personnel who conduct the burning have indicated that this is the only method they are able to apply at the moment, and they try to be diligent so as to avoid any harm to the environment or people. Mayor Daniel Guerrero has gone on record disagreeing with this method, but no solution has been put in place. “We know it is not the ideal method at the moment, but we have to work with that with have available. It is not in any budget, but when we get the incinerator, the situation will be alleviated,” said Guerrero. Organizers are hopeful that this goal can be possible if everyone works together, including the authorities. They call on the government to match the funds raised for the purchasing of the incinerator. As for the remainder of the funds, the San Pedro Animal Foundation (SPAF) will use it to cover the fees that many pet owners on the island cannot afford. This will allow the facility to render its services to those pet lovers who at times find it difficult to cover their furry friends’ medical bills. According to the SPAF, they rely on the only full-time veterinarian on the island, who provides excellent services. Island residents are encouraged to make monetary donations or provide prizes for the event’s silent auction. So far, several stakeholders have started to make monetary donations and prizes for the silent auction. Some of the prizes range from stays at luxurious resorts to electronic items and dinners at gorgeous restaurants. There will be a beach BBQ during the day of the fundraiser, and everyone is invited to come out and support the worthy cause. Tickets for the BBQ can be purchased at Caribbean Villas, Pedro’s Inn, the Red Cross San Pedro Branch, Rotary Club, and from members of the San Pedro Lions Club. All proceeds will go towards this long-awaited project. Anyone interested in making donations can do so by contacting Carla at Caribbean Villas at 226-2715 or via email helppolyclinic2017@gmail.com.